The Trade Centre Wales is to open its second new superstore within nine months, crossing the border for the first time with the opening of a 12 acre site in the West Midlands. The UK’s fastest growing used-car retailer has once again supported a present appeal for children’s charity, NSPCC. Trade Centre UK officially opened the doors to its new £13 million used car showroom in Coventry on Saturday. This opening saw thousands of car shoppers through the doors of its 115,000 square foot showroom which accommodates 1,500 cars, 400 housed inside the former premises of transformed Coventry Leekes furniture store. Trade Centre UK/Part of the MTR Bailey Trading Ltd, also trades as The Trade Centre Wales in the South wales regions, it is set to open Europe’s largest used car showroom in Coventry as part of growth plans outside its home ground. 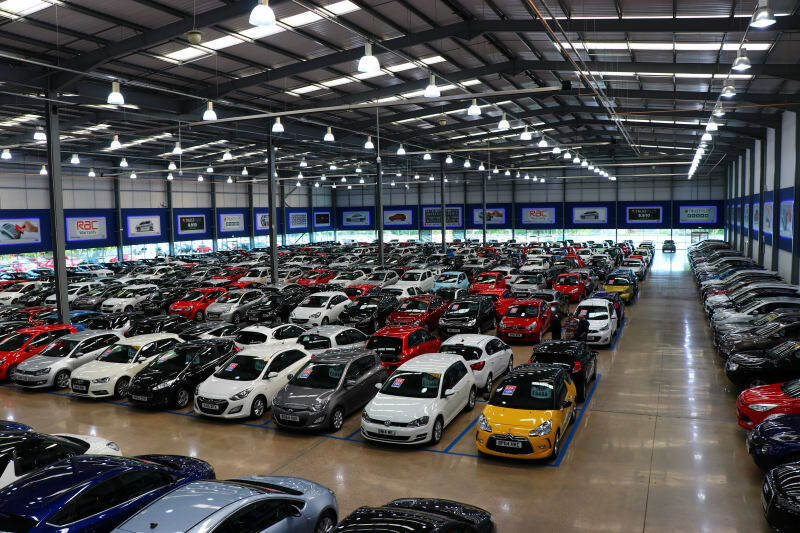 The Trade Centre UK shortly opens its £13 million used car outlet that will accommodate 1,000 cars with 400 housed indoor in the former premises of Leekes furniture store A444 Coventry.